a quick and easy Cajun shrimp recipe that requires only a few basic ingredients, a few minutes of prep time, and a few minutes of cook time. 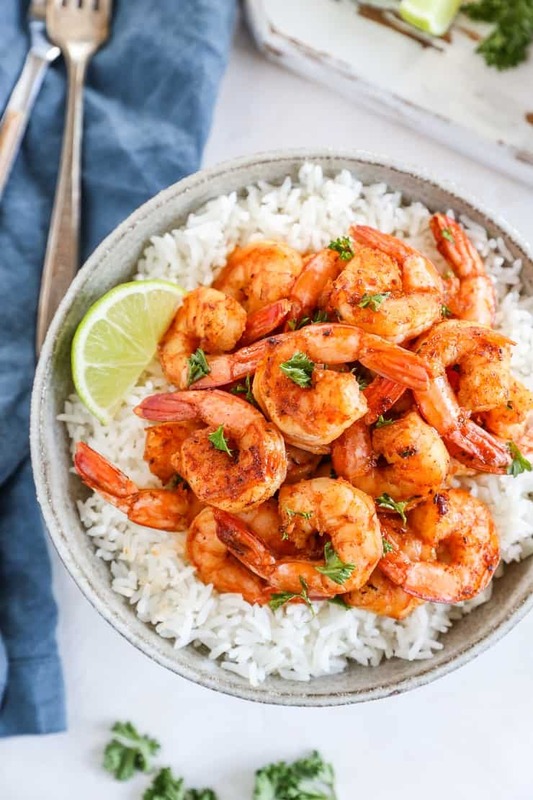 This straight-forward delicious shrimp recipe will become a staple in your household! 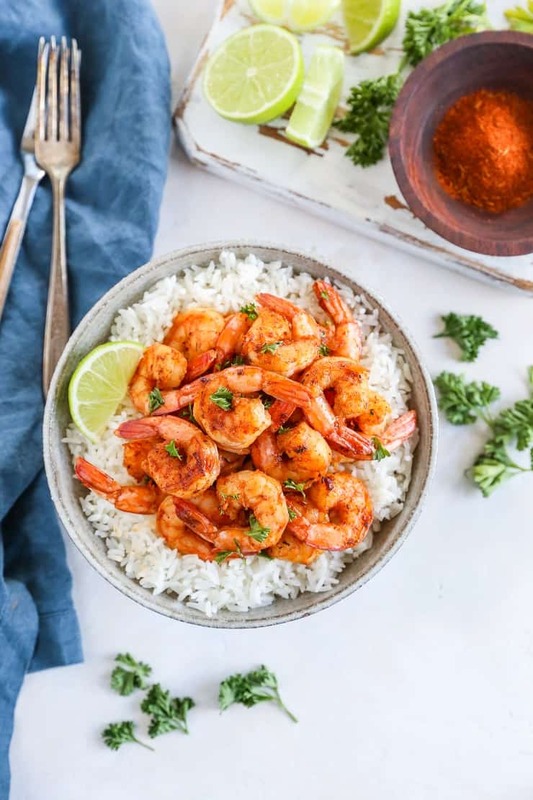 I have a super quick, easy, beautifully spiced Cajun Shrimp recipe for you to gather up in your shellfish loving arms and incorporate into your weekly routine, but first… I wanted to connect with you for a moment. I’ve been a bit absent from the blog lately…I promise I haven’t forgotten about you all..in fact, I think about you all the time, Do you feel your ears burning? Life has been crazy busy, but in a very new and exciting way. I filmed 6 recipe videos with Inspo Network on Tuesday, so you’ll be getting some quality face time in addition to recipes soon! The first round of videos are for recipes that already exist on this site, but you can stay tuned on Instagram and Facebook, as they’ll be popping up over the next several weeks! 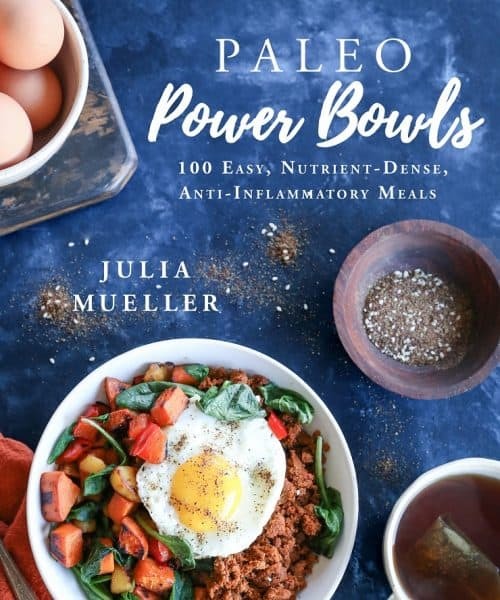 In addition to that little ditty, I’m putting the final touches on my cookbook, Paleo Power Bowls, so that I can submit it to my publisher next week (queue celebratory music). You guys, it has been such a labor of love. I honestly don’t fancy myself a perfectionist when it comes to most things in life, but I have acquired a newfound perfectionism with this cookbook…I want you all to get so much out of it! After the book is submitted, you’ll be hearing from me more frequently, as my plan it to return to my normal posting schedule (M, W, Th) with some additional recipes and lifestyle posts thrown in there from time to time. Anything in particular you’d like to see? Holler at your girl, as I’m always taking requests. Moment of connection over. Kidding. We’re still energetically attached. But it is time to discuss Cajun shrimp. This recipe is so crazy silly simple, I have no idea why I didn’t think of it sooner. It really only requires some of your regular pantry spices and (wait for it, wait for it) shrimp. Simply toss all the ingredients in a big mixing bowl, then cook the shrimp in a skillet on the stovetop. Serve it up with rice and you’re golden! 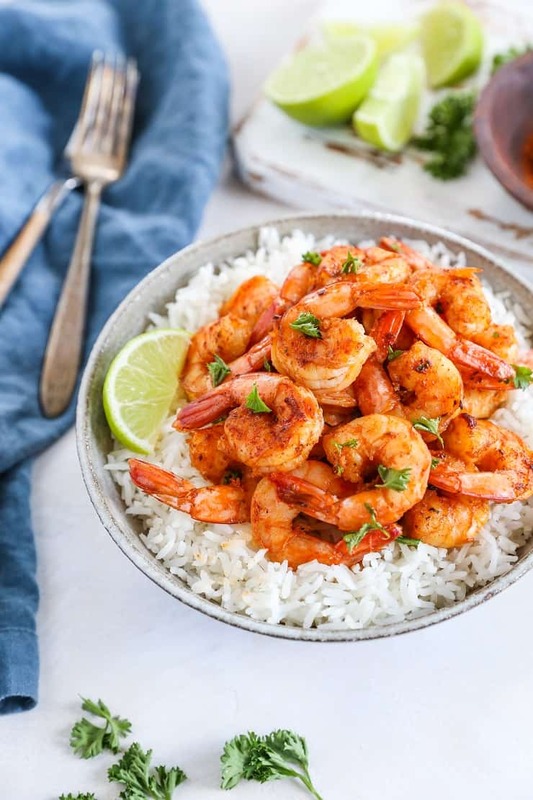 If you’re a bigger fan of the oven than you are of the stovetop, you can broil the shrimp on a baking sheet under the high broil setting for 2-3 minutes per side. Obsessed with garlic? Add more! 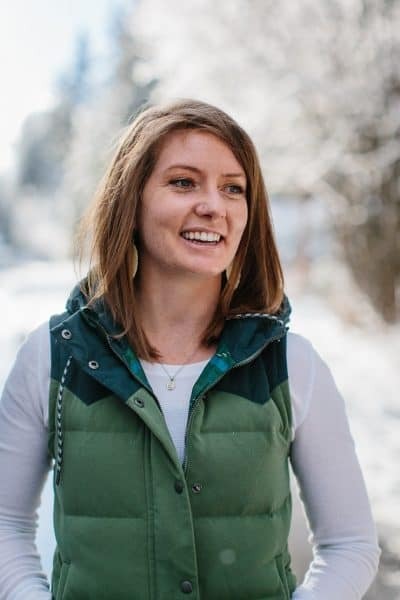 Follow a Low-FODMAP diet? Omit the garlic and onion powder! Feeling like you need some veggies in this meal? I hear ya. I’d recommend making My Easy Go-To Stir Fry Vegetables Recipe. 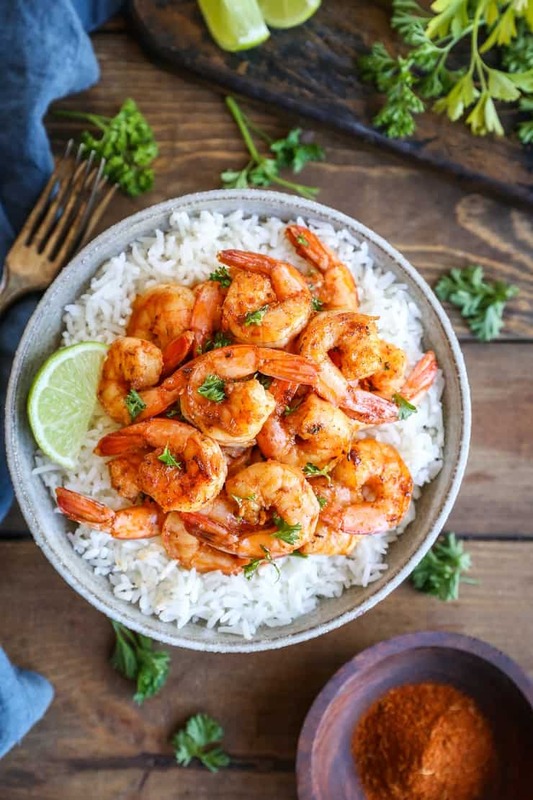 You can either prepare the shrimp and the vegetables completely separately, or you can start by preparing the vegetable stir fry in a large wok and then add the raw spiced shrimp in the stir fry for a mega shrimp-and-veggie concoction. A meal like this will knock your socks off! 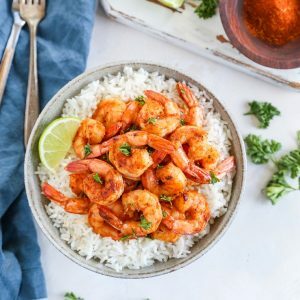 Because this Cajun shrimp recipe comes together so quickly and is best when served fresh from the skillet, I don’t recommend this as a meal prep recipe. If you absolutely have to meal prep, you can make it and keep it for up to two days, but I wouldn’t recommend making it more than two days in advance. So that’s it! A silly simple shrimp recipe perfect for those of you who love a good shellfish recipe, or are just looking to keep dinner quick and easy. Place all ingredients in a large mixing bowl and toss together until well combined. Heat a large cast iron or non-stick skillet over medium heat and add about 1 tablespoon olive oil (or cooking oil of choice), enough to generously coat the surface. Place shrimp on the hot surface, creating one even layer and giving shrimp space between. This may need to be done in two batches. Cook 2 minutes, flip and cook on the other side another 2 to 3 minutes, until cooked through. The shrimp look so good that I am craving shrimp now!